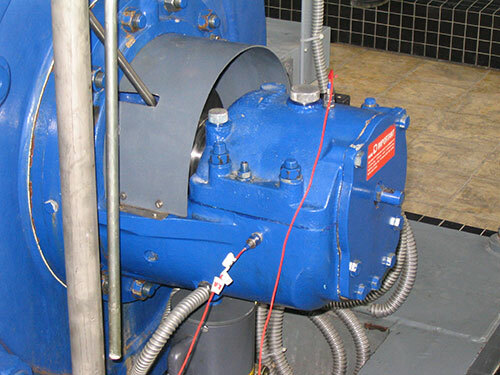 For machines with rotating components such as motors, pumps, etc., the ISO 10816 series defines zones for evaluating the broadband vibration level measured on the bearings. Depending on the result it can be decided whether the vibration level is within the usual range or if vibration control measures are needed. 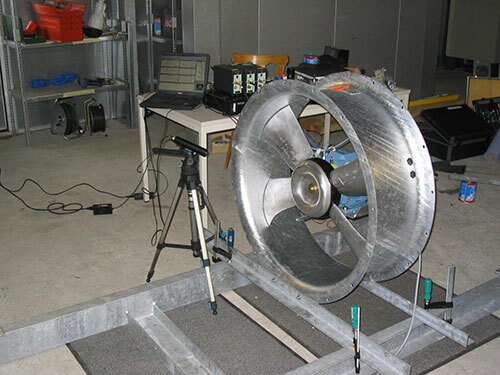 We measure vibration-related characteristics on non-vibrating components according to the ISO 10816 series. 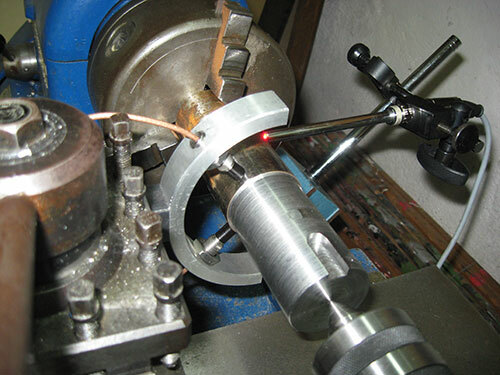 In order to find the cause for excessive vibration it is often advisable to know the vibration on the rotating shaft itself, which can be measured according to the ISO 7919 series, for example. We have suitable measuring devices at hand for that measuring task. If the vibration level of new machines is too high, we can perform a field balancing for you. The advantage lies in the chance to optimise the complete system, consisting of shaft and impeller (as shown in the example). Depending on task and accessibility we perform static or dynamic balancing. If needed, we can assist you by designing elastic bearings for machines. Doing this, we consider our findings concerning the set-up of machines on floor panels with insufficient dynamic stiffness. In case of inappropriate structural dynamic properties, vibration problems can occur that may cause machine damage in spite of using elastic bearings.